When you have a baby, especially if it’s number two, people begin to jokingly ask when you’re going to “give in” and get a minivan. For some reason, many people equate driving a minivan with being old, uncool or a soccer mom. But I’m here to tell you there’s no shame in driving a minivan. We got our first minivan, a 2001 Chevy Venture, after our second child was born in 2003. My husband and I couldn’t get the double stroller or the two pack-n-plays — let alone all the other stuff you have with a newborn and a 15-month-old — to fit in the trunk of our car. With the minivan, we suddenly had plenty of room for everyone and everything. Buy a mattress or patio furniture? Fold down the seats, take it home yourself and skip the delivery fee. Need to get your team from one game site to another? No problem; there’s plenty of room for six 9-year-olds. And yes, I’m not only a soccer mom, but a coach, too. The van was not only convenient, it also saved us money. In addition to helping us save on delivery fees, it helped us save on vacations — we could all easily pile in to visit relatives on the East Coast without worrying about airfare and car rentals. During the past eight years, we’ve driven twice from Wisconsin to Washington, D.C. I estimate we’ve saved thousands of dollars on airfare by driving. It’d cost about $1,200 for our family of four to fly. Once there, we saved by using our own vehicle. Since we had room, we also brought along some food so we didn’t need to spend as much eating out or buying snacks. And yet, about 18 months ago, we decided it was time to replace our trusty 13-year-old minivan. My kids moved on to middle school, and it took twice as long to drive them there. I took a two-hour job at their school, helping in the cafeteria to make a little extra money and get a tuition discount. If my kids had an after-school activity, I could easily make the 35-minute round trip four times in a single day. I easily filled up the van with gas twice a week, which cost between $50 and $60 each time, depending on gas prices. Once my daughter’s sports seasons started, I needed to add in another trip to the gas station each week. A friend made the switch from a van to a crossover and talked about how much she loved it. The van was starting to have some mechanical problems, and we had to make a choice: either get a certified used vehicle to replace it, or spend a lot to get it fixed. We decided to trade in the van. At the time, I was thinking about the daily trips to school and the gas involved. 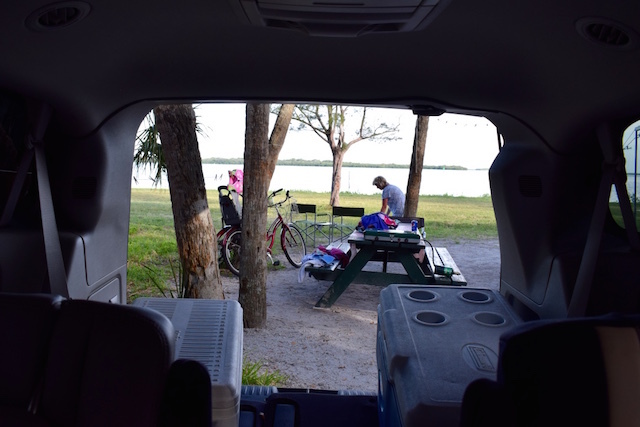 I wasn’t thinking about the extra space the van provided or how we went on a road trip nearly every summer, whether it was to the East Coast, Chicago or South Dakota. My husband said it was my call, so I went with the car. It didn’t take me long to realize it was a big mistake. Sure, the car could hold five people, but only if three of them were small children. Fitting three middle school students in the back was nearly impossible and involved a lot of whining. Even when it was just my two kids, they complained about “being too close” together. When my mom visited, I had the honor of squeezing into the backseat between my two children. When it came time to go on a family vacation up north, we couldn’t bring bikes or other items we’d brought in previous years. Closer to home, we couldn’t load the bikes in the back and drive to a local trail for a family ride. I tried to rationalize the purchase by saying we saved money on gas. Turns out, that wasn’t true. What saved us money was driving less. This school year, I decided against working in the cafeteria, so I only need to make the school run twice a day. I work from home, so most of my driving involves going to school and kids’ sporting events. I usually run my errands after taking the kids to school in the morning, when stores are less crowded. I also connected with another mom and set up a car pool for school pick-up, so some days I only make one trip to school. Then, we started planning for this summer’s family vacation — a two-week trip to Yellowstone National Park. Naturally, we’d drive there from our home in Wisconsin. 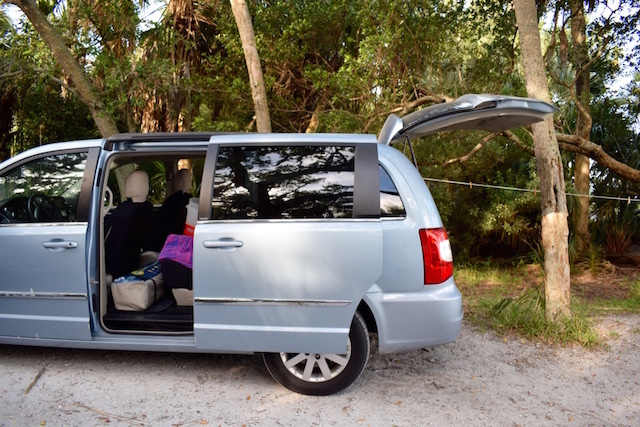 After barely surviving two-hour trips to my mom’s house with lots of arguing over who was on whose side, I told my husband the only way we could do the trip was to rent a minivan. He agreed, especially since both kids are nearly taller than me and don’t have much leg room. I started looking into how much renting a minivan would cost for two weeks and was surprised. I kept telling myself, it’s only this once… or maybe every other year if we visit relatives on the East Coast. Rent a U-Haul to move a piece of furniture from my grandma’s house to mine. (It’s a two-hour trip each way and I didn’t want to trouble a friend for that long). Take multiple trips to the local yard waste site because everything wouldn’t fit in a single trip, like it did with the van. This meant we used more gas. Stop taking family bike rides on local trails since we needed the van to transport our bikes to the trailheads. Limit the number of kids we transport for different activities. You’re probably thinking — that’s a bad thing? But you try telling a 12-year-old she can only pick two friends to come with us to a local sporting event. No wait, only one since your brother is coming, too. Or only one of you can bring along a friend since I don’t have room for both of you to bring one. 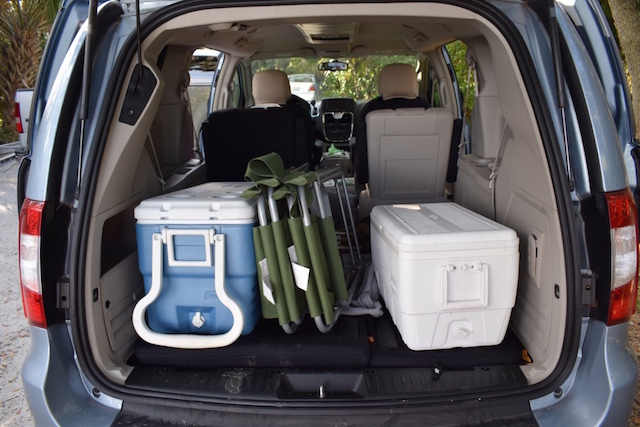 He laughed, saying it wasn’t uncommon for people who downsize their vehicles to return to the minivan or SUV after a year or two because they miss the space. I’ll admit, trading in the crossover so soon after buying it may not have been the best financial decision. The trade-in value paid off our car loan, so we didn’t lose money. But we wound up dipping into our savings account for a down payment so the new monthly payments would fit into our family’s budget. In the long run, however, I think the minivan will be a money (and sanity) saver. 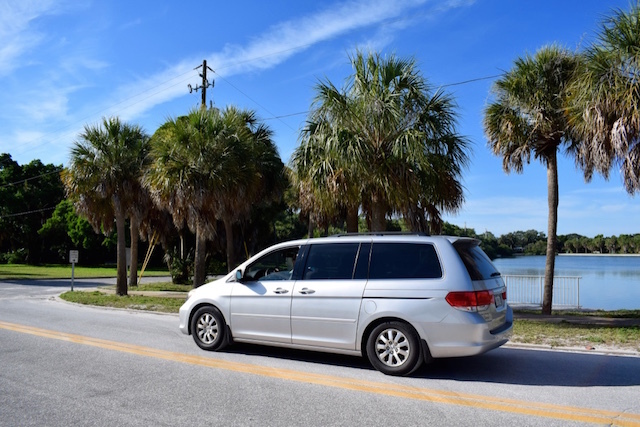 When I took a closer look at the gas mileage difference between the new minivan and the crossover and, honestly, it wasn’t very much, especially since I was no longer driving to school three (or more) times a day. It seemed silly to not go back to a minivan. Even though it’s not considered cool or hip, I pick up our new-to-us minivan next week… and I can’t wait. Your Turn: Do you think driving a minivan means you’ve given up being cool? Do you find it helps you save money? MaryBeth Matzek is a freelance writer and busy mom of two tweens. Follow her on Twitter at @1bizzywriter.